The St. Joseph Funeral Home is proud to announce that our cemetery has been selected to be a host of The Wall That Heals, a ¾ scaled replica of the Vietnam Veterans Memorial. The exhibit consists of the Wall replica and the mobile Education Center. The Wall That Heals exhibit is open to the public day and night throughout the visit. The three-quarter scale Wall replica is 375 feet in length and stands 7.5 feet high at its tallest point. Visitors experience The Wall rising above them as they walk towards the apex, a key feature of the design of The Wall in D.C.
Like the original Memorial, The Wall That Heals is erected in a chevron-shape and visitors can do name rubbings of individual service member’s names on The Wall. 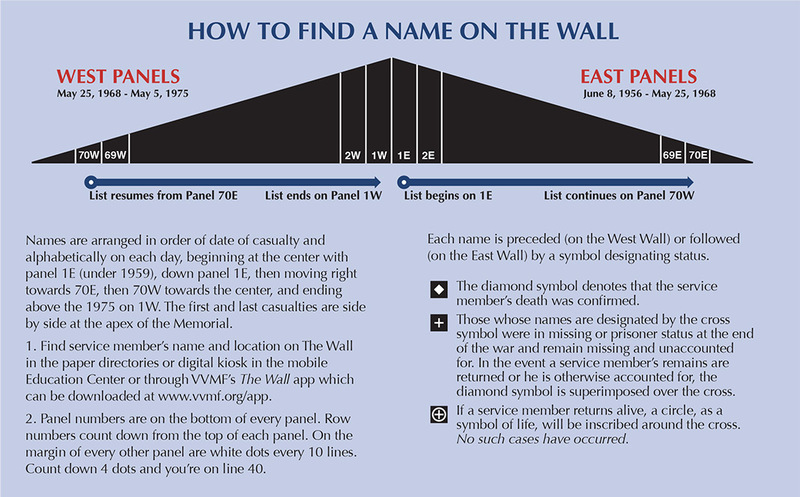 The Wall replica is constructed of Avonite, a synthetic granite, and its 140 numbered panels are supported by an aluminum frame. Machine engraving of the more than 58,000 names along with modern LED lighting provide readability of The Wall day and night.